The static fire test had been delayed numerous times. 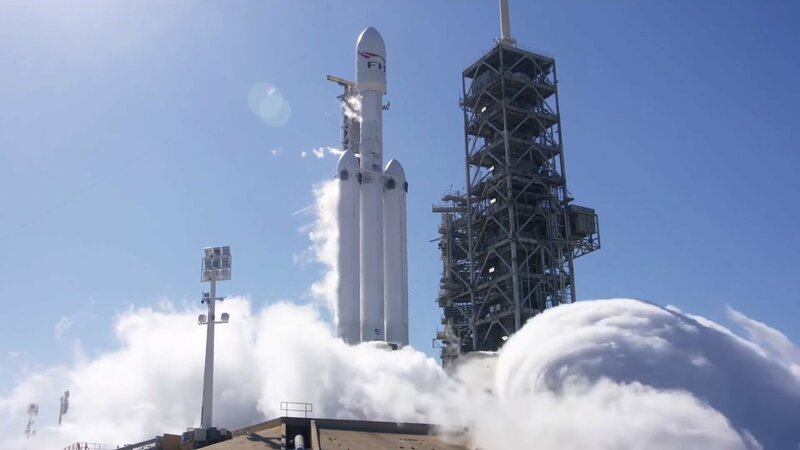 Today, SpaceX performed a static fire test on its Falcon Heavy rocket. Also called the hold-down test, it involved loading the rocket with propellant and firing all of its 27 engines at once while the rocket was secured to the launch pad. The test appears to have been successful, though we are waiting on confirmation from SpaceX. The Falcon Heavy has had a long road to this point; it was first announced back in 2011. The target launch date has been delayed multiple times, but that isn't a surprise. This is an incredibly complex rocket, and the largest since the Saturn Vs that took us to the moon. Now that the static fire appears to have been successfully completed, assuming the rocket performed nominally, the company will likely set a launch date soon. Update: In a tweet following today's test, Elon Musk said the Falcon Heavy launch could take place in about a week. Update 2: SpaceX posted video of the test on YouTube -- check your speaker volume before pressing play.